The Reno-Sparks Indian Colony is a vibrant, expanding organization which balances our traditional teachings and rich culture with contemporary business methods and innovative governmental practices. We employ more than 300 people; more than 150 are our own tribal members as our leadership continues to take advantage of our urban and suburban locations. Our vision is for a strong community that promotes and encourages individual spiritual, physical and emotional health to foster a long, abundant and prosperous life, which will lead to personal, family and community responsibility and prosperity. We host weekly, evening language classes--Paiute or Washoe, which are open to the public. The jewel of our Colony is our 65,000-square-foot health center which was designed and built with the upmost consideration for Great Basin history and rich culture. Moreover, visits are always welcome to attend our nationally acclaimed Numaga Pow Wow. Each Labor Day weekend, the Colony hosts this free, family event features some of the best Native American dancers, singers and drummers in the country. Besides the memorable pow wow entertainment, over 25 vendors will be selling traditional native foods and stunning handcrafted silverwork, beadwork, baskets and other American Indian art. Plus, hand games usually run throughout the night during the three-day event. In 2016, the 30th annual Numaga Pow Wow will be Sept. 2-4 in Hungry Valley. Hungry Valley is 19 miles north of downtown Reno and west of Spanish Springs, nestled in scenic Eagle Canyon. The Reno-Sparks Indian Colony was established in the early 1900’s and formed a federally recognized government in 1934 under the Indian Reorganization Act. Located in Reno, Nev., the RSIC consists of over 1,100 members from three Great Basin Tribes - the Paiute, the Shoshone, and the Washoe and provides essential services to over 7,000 Natives. 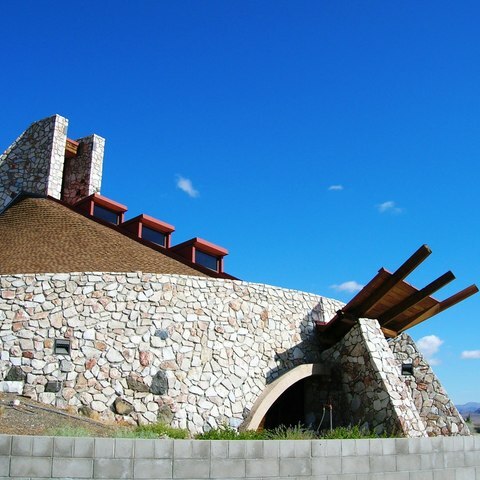 The reservation lands consist of the original twenty-eight acre Colony located in central west Reno and another 1,920 acres in Hungry Valley, which is nineteen miles north of the Colony and west of Spanish Springs, Nev., nestled in scenic Eagle Canyon. The RSIC is a sovereign nation. Its tribal government includes an elected chairman and an eight-member council which serves as the governing body per the RSIC Constitution. The constitution gives the Tribal Council the authority and responsibility to raise revenues, incur expenses, enter into contracts, borrow money, administer funds, purchase land, and provide services for the general welfare and benefit of the Colony tribal and community members. 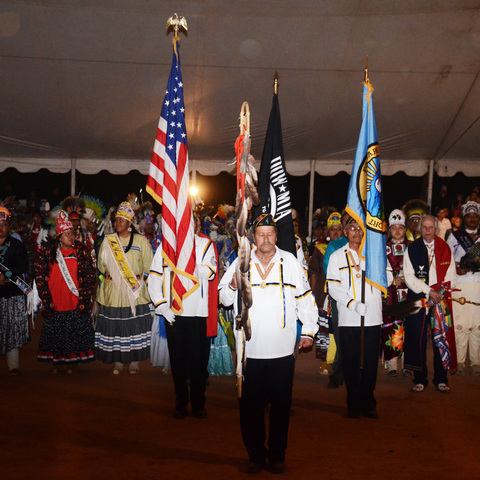 As a sovereign Indian nation, the RSIC Tribal Council carries the same unique powers and duties as any city council, county commission or legislative government across the United States.Regular, monthly meetings are held to discuss and sometimes vote on matters that affect the Colony, its membership, the community and any aspect of the tribal government. The Colony owns unique traditions, history, culture and languages which are essential for the progress of our tribe. The tribal council strives to maintain positive, constructive relationships and tribal unity. These important elements are the guiding principles for tribal economic development which exists to improve the quality of life for all, even those yet to be born. The people that inhabited the Great Basin prior to the European invasion were the Numa or Numu (Northern Paiute), the Washeshu (Washoe), the Newe (Shoshone), and the Nuwuvi (Southern Paiute). In each of these groups’ language, these names meant “The People.” Unlike any other tribal located within the State of Nevada, the Reno-Sparks Indian Colony membership includes people from all of these groups: Paiute, Shoshone and Washoe. Within these groups were bands of Indians who were often referred to with words that reflected where they lived or what they ate. For example, the Agai Ticutta referred to the trout eaters near the Walker River or the Toi Ticutta referred to the tulle eaters near the Stillwater Marshes. Today, The People continue to recognize their special place on Earth and all the life cycles. Traditionally, The People lived a well-planned, harmonious life which was predicated on their immediate surroundings and nature. Time could not be wasted. Knowing what the land would offer was a matter of survival, thus The People’s migration patterns were strategic and well-thought-out. The People followed the food and over thousands of years, each band evolved as an efficient, social and economic unit that could comfortably inhabit the land on which the People had been placed since time immemorial. Living in cycles with the seasons, the Numu occupied the strip known as Western Nevada, Eastern Nevada, Eastern Oregon, and Southern Idaho. The Washeshu gathered annually at Lake Tahoe and dispersed for several hundred miles throughout the remainder of the year. The Newe were found in what is today called Eastern Nevada, Utah, and Southern California. The Nuwuvi inhabited the Colorado River Basin where they harvested corn, squash, wheat and beans. To each group, the animals of the Great Basin gave insight to creation and wise guidance on how to live. Though each group spoke a different language; Washo, a Hokoan derivative; the other dialects of the Uto-Aztecan origin; they understood and respected the lifestyles of the other immediate groups and other tribes with whom they came in contact. In fact, much trade and commerce occurred among the original inhabitants of the entire continent. Conflicts occurred only when economic necessities forced a group to raid or confiscate the resources of another group. Though The People consider that they have been here since time began, archeological evidence places the earliest residents of Nevada as living here about 10,000 years ago. In 1994, the Nevada State Museum carbon dated remains which were unearthed in 1940 near Fallon, Nev. According to modern science, the burial remains of “Spirit Cave Man” prove that he lived in the area over 9,400 years ago. Because Indian land in the Great Basin was one of the last major frontiers to be explored and settled by European-Americans, The People sustained their way-of-life and ethnic identity much longer than most Tribes in other parts of the country. In fact, at first contact in what would become Nevada, hundreds of other Tribes were enduring the fourth major shift in U.S. Government policy toward American Indians. For drivers, The Reno-Sparks Indian Colony is located at the junction of Interstate 80 and U.S. 395. It is an easy and scenic drive from most of the 11 western states. I-80 provides all-weather access via Donner Summit from central and northern California. From southern California, it’s a straight shot up U.S. 395 along the dramatic eastern front of the Sierra Nevada. From the Northwest, take I-5 south to I-80 or, in good weather, opt for the scenic shortcut that leaves I-5 at Mount Shasta and follows California 89 and 44 southeast through Susanville. Reno Tahoe International Airport (RNO) welcomes all the major carriers from around the U.S. each day, with many non-stops and arrival times to select from. Fly in and be only a short cab ride away from the Reno-Sparks Indian Colony. RTIA operates 61 daily departures nonstop to 15 cities. With just one stop through ten major hubs visitors to Reno Tahoe can connect to hundreds of domestic and international destinations making travel to the region easily accessible. In addition the leading domestic carriers are in Reno Tahoe including but not limited to Alaska Air, Allegiant Air, American Airlines, Delta Airlines, Southwest Airlines, United Airlines and US Airways. A third option is AMTRAK’s California Zephyr, which arrives daily from the Bay Area and Sacramento to the west and Salt Lake and Denver to the east. Trains from the Northwest, coastal southern California and the Central Valley connect to the Zephyr in Sacramento.